Anthem's Open World Does Not Sacrifice Visual Fidelity | Nerd Much? In an interview with Microsoft’s Larry Hryb on the Xbox Daily: Live at E3 show, Patrick Söderlund stated that EA had challenged BioWare to think about Anthem in a way that doesn’t the sacrifice fidelity. EA wanted Anthem to have the same level or higher than most secluded maps can achieve. A high bar, to be sure, and if the trailer is anything to go by, BioWare certainly achieved it. Anthem runs on the Frostbite engine and the trailer was confirmed to be running in real time on the Xbox One X (the Scorpio) in a checkerboard rendering of 2160p. But the road wasn’t short, Söderlund states that it took a lot of time, investments in certain technologies, and innovations in design from the art team. What I’d like to know, is where was this “challenge” for Mass Effect: Andromeda? If nothing else, this new information from Söderlund himself makes it all the more clear that Andromeda‘s development had a lot of internal problems. The least of them being the EA shuffle, as it seems like Andromeda had significantly less resources (be that in the form of monetary funding, labor, or technology) than Anthem. Whatever the case may be, Anthem still looks like a great game. 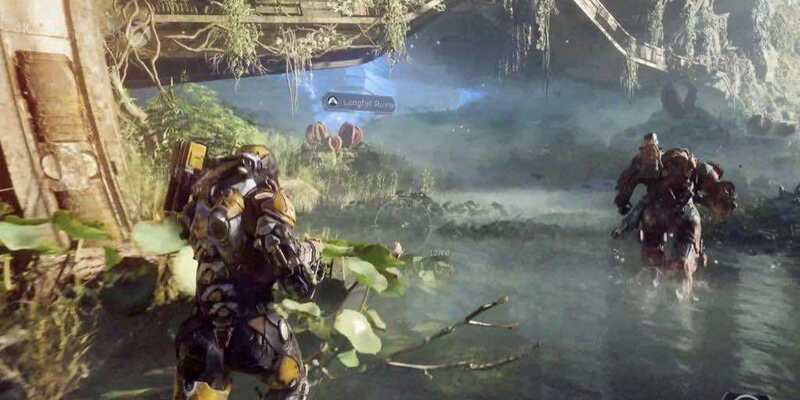 Söderlund describes it has a “social game where you and your friends go on quests and journeys.” Four years in the making, Anthem hopes to bring an all new action-RPG experience to players around the world. Anthem will release fall 2018 on PC, PS4, and Xbox One.